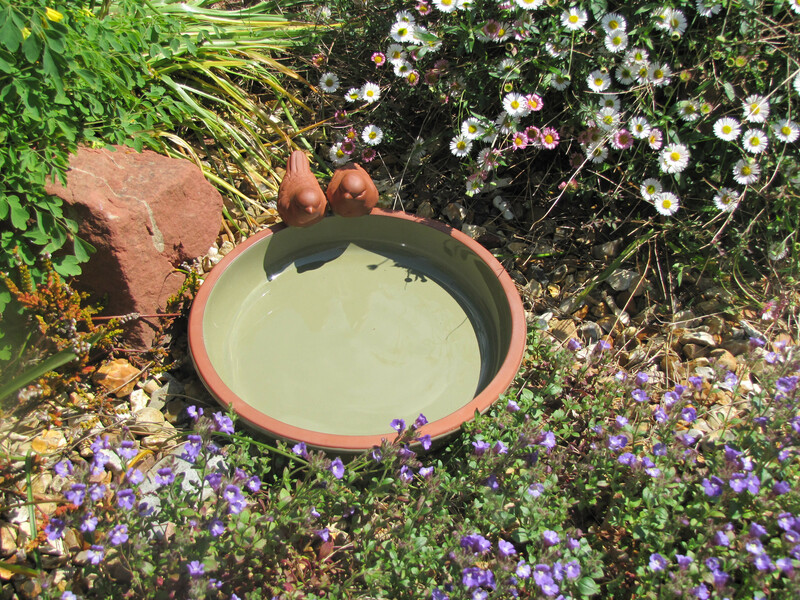 A perfectly sized bird bath, made from frost resistant ceramic. 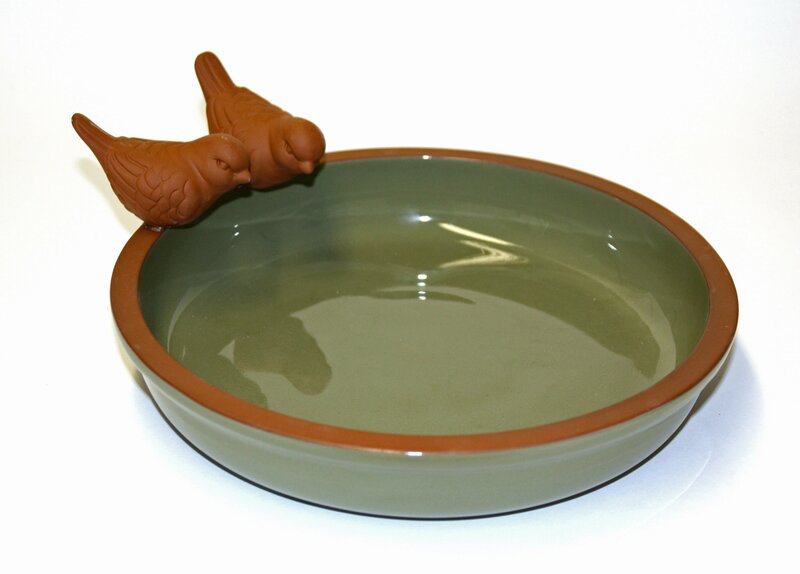 Frost-resistant ceramic with a hand finished soft green glaze, which contrasts with the natural terracotta rim. 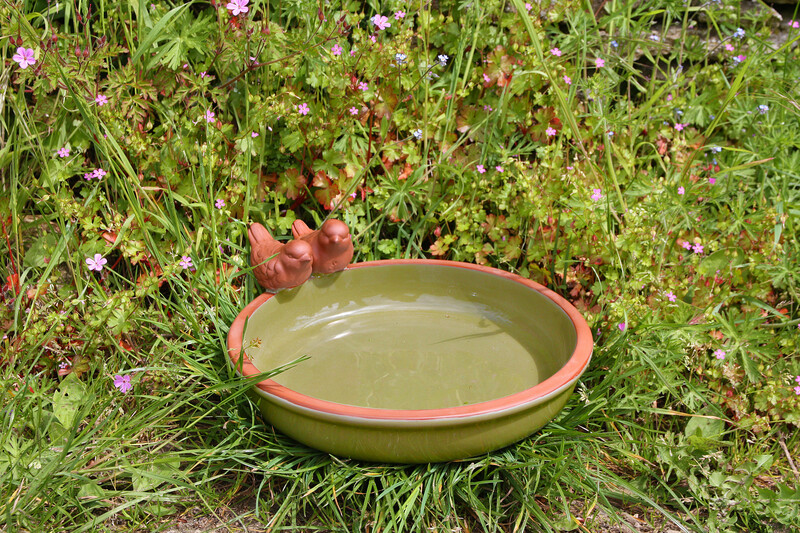 A decorative pair of clay birds sit on the edge. 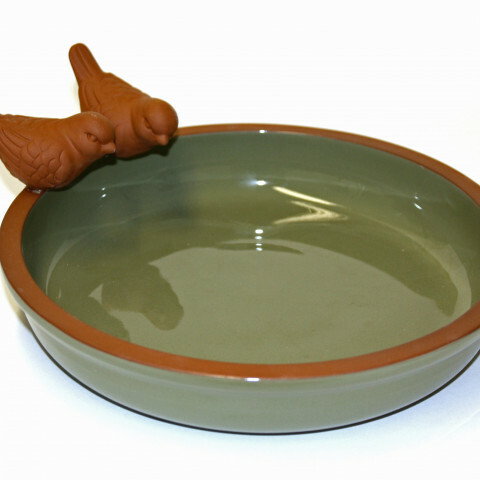 Height: 110 mm x Diameter: 270 mm. Fantastic product and frost resistant sturdy and beautiful. The birds love it and I even saw a stray cat drinking from it. So it helps all animals. Love it. Bought this as a gift and the recipient was absolutely delighted. Delivery went smoothly and overall a great success.